When Canadian architect Stanley Thompson arrived in Ingonish Beach, N.S., back in the late 1930s, he likely thought he’d instead stumbled into paradise. A gorgeous setting bordered by water and mountains tucked against the northeastern shores of Cape Breton Island, in his mind, it resembled Scotland. Robert Thompson has written for Golf Digest, the National Post, and the Globe and Mail. He currently works as the television golf analyst for Global, and writes a Canadian golf column for Global Golf Post. For 75 years Highlands Links has been unique. 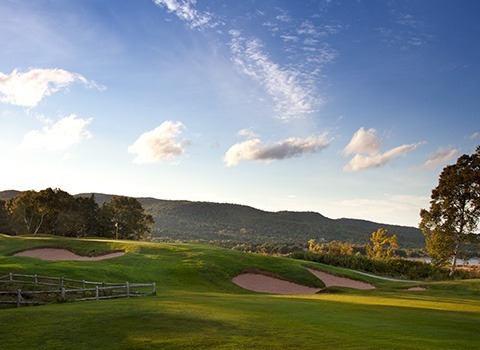 There’s no course in the world that matches its dramatically diverse topography, where the course runs from a rocky promontory to the mountains of Cape Breton and back. And for more than seven decades the rumpled fairways have confounded golfers by presenting hanging lies or awkward shots above their feet. I’ve spent almost 20 years trying to figure out which way those shots will turn; I’ve yet to nail it down. And of course there are Highlands Links’ greens—devilish, plummeting, clever, and often downright fascinating in their genius.It all adds up to a course unlike any other, with truly its own distinct aesthetic and personality, just like its designer: the legendary Stanley Thompson. These days the course and the accompanying resort—the charming Keltic Lodge—has been given a facelift to celebrate the 75th anniversary of its opening. Bunkers were tweaked under the guidance of noted golf restoration architect Ian Andrew, tees were reworked, and trees cleared throughout the course to return the ocean vistas that were lost over time. 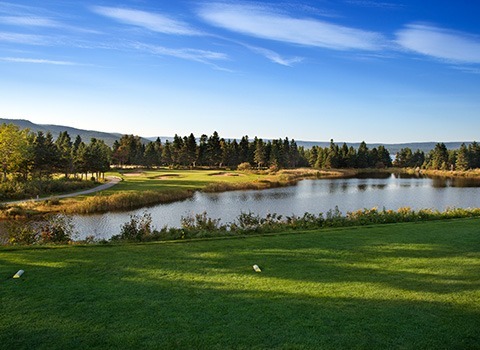 Keltic Lodge has been part of a multimillion-dollar upgrade courtesy of its new owner, GolfNorth, with rooms given complete makeovers and new accommodations added that are aimed specifically at golfers. That’s a long way from the facility’s nascent years when Thompson ventured by boat to create a course for the Canadian government at the height of the Depression. Over rugged ground and through dense forest he crafted one of the most unique routings in golf. 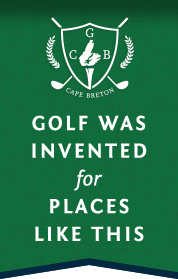 In many ways the course tells the story of Cape Breton as it sprawls from its start on the cliffs overlooking the ocean, rambling along the seaside for much of the front nine before emerging at the base of the mountains. Thompson’s genius means the course is very readily walked despite significant shifts in elevation and topography. It is also a throwback to a time long since gone, when courses were placed on the land—not carved out of it—by men working with horses and scrapers. 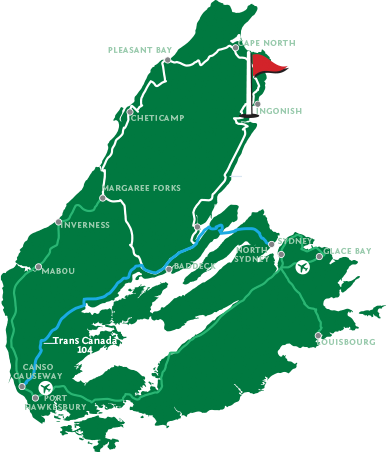 The construction methods used by Thompson’s crew to create the course give it a timeless feel, while its remote location at the northeast end of Cape Breton island means it will always remind me of Scotland’s remote great, Royal Dornoch. Great holes abound, with simply too many to list. Every one has its own character that only reveals itself after a few romps trying to decipher Thompson’s grand design. But no one will ever forget the second, a long par 4 with one of the most difficult—and picturesque—approach shots in the game, or the sixth and seventh holes, consecutive par 5s where the landforms and expected shots are never alike. It is the subtle elements of Highlands that display themselves over time. The way the right fairway on the 13th hole cascades into the green, presenting an approach one might not immediately consider, or how the tumbling wide fairway on the 16th charms you into trying a long second shot that seems simple, but never is. Along the way there’s the pure beauty of holes like the incredible 15th, with the white church perched behind the green, and the 18th, with its ocean vistas restored. Highlands Links always engages me in a new and unexpected way every time I visit. That’s the genius of Thompson’s design: there’s no single way to play it, and you’ll always find elements of the course, sometimes obscure, sometimes obvious, that become part of your round. It is why I’ve returned time and again since it first ensnared me through its charms, and why I plan to return as often as I can for years to come.